A MoonMan by Derry’s colloquial definition is; ‘A person who seems like their mind is always on the Moon.’ We went through a few names and played a few shows under those names before we ever recorded or put anything up online. We eventually settled on MoonMen. A fitting name for us, as we took 4 months to decide on the name. ▶ When did you start playing music and how would you describe your sound? We started making music together when we were young pups, around 11 or 12, since then we’ve always been writing or playing together in some shape or form. We started writing for this band in December 2017 and went to record in Start Together up in the Oh Yeah around March. We would describe our sound as whole-hearted guitar music. ▶ What releases have you put out so far? We have only uploaded our first recording ‘Life’ to Facebook to see what kind of response we would get from it; the feedback so far has been great. We haven’t had an ep release or anything, that’s coming soon, we’re finishing off a few songs first, then getting a few gigs around NI before we press ahead with that. We do have a release planned for June, called “Say” (we like one-word titles, easier to remember), there’ll be a video coming alongside that which we’re in the process of recording now. ▶ Is there a particular live show that stands out amongst all the rest? We have only actually played one show under our current name MoonMen, so we don’t really have back catalogue of mad gig memories just yet. We played alongside our mates Scenery when we were trying different names back in December, our first run out as a band in fact. The place could only hold around 60 people and there must have been around 130 piled into the placed. It was a great atmosphere for such a small venue. (Don’t let health and safety know). ▶ Can you talk about a Highlight and a low point of the journey so far? Recording our first two tracks up in start together studios in the Oh Yeah centre was a definite highlight. A low point of our journey so far is the fact we wont be able to get out on the road until June; exams, injuries to a hand and work commitments are holding us back at the moment. ▶ If you weren’t a musician(s) how would you spend your spare time? That’s a difficult one. Our singer would probably be trying his hand at acting. Aaron, the drummer, the de facto photographer, would just throw himself into photography. Conall, the guitarist would more than likely still be doing something creative, all he does is play guitar so its impossible to think of anything else. And our bassist Shane would be jumping from on thing to another as he does at the moment, jack of all trades master of none. ▶ If you were to go on a world tour and you could pick any 3 acts come along, who would they be? ▶ What would be the 3 strangest things on your rider if you were able to make any demand? ▶ Is there a particular aim or goal which you hope to achieve through music? Our main aim through our music is firstly for ourselves and our own satisfaction, we just love playing, writing and recording. If anything comes off the back of our passion, that’s just a bonus. ▶ Who has been your biggest inspiration as musicians? 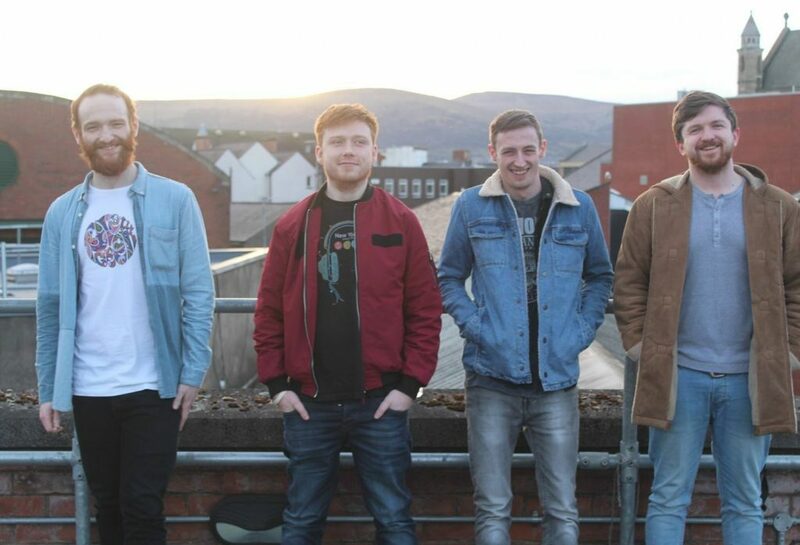 ▶ Are there any other Northern Irish musicians we should check out? Scenery, are a fantastic band from Derry, they have packed up and shipped themselves across to Manchester now though, so we won’t be hearing them in Northern Ireland for a while. Also, Foreign Owl, from Derry as well, they have a really unique sound. ▶ What is next for you? Next on our agenda is getting our video finished, get a few shows lined up for summer gigging then take our current setlist around for a few months. After that we’re hoping to get back into the studio later in the year to record a 4-track ep.